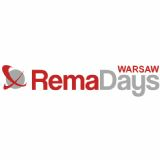 The International Trade Fair for Advertising and Printing RemaDays Warsaw is one of the largest trade shows in advertising industry in the world. The fairs have been organized since 2005 and have been growing constantly so that every other year the number of visitors and exhibitors was higher. During 3 days of the RemaDays Warsaw show, on 35 000 m2 of exhibition space, the representatives of the advertising industry meet. 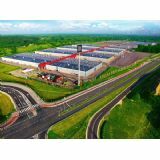 Last edition attracted over 760 exhibitors and 21 000 visitors, so the event achieved status of a key and largest, in terms of number of visitors, trade fair in Europe.